Select adjustable distance (Long or Short) for desired length. Included for each Adjustable Supports (1) Velcro strap and (8) 10mm screws for mounting the Diagonal Support to the platform/mounting bracket. It takes approx. 12 hours of 3D print time for each Adjustable Support to create these parts at 80% infill. 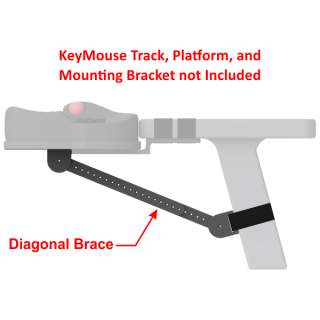 Designed to add support to Mounting Brackets or Platforms that have a little "bounce" while typing.